Plug in your display, complete the setup wizard, and you’re done. Chromebox for meetings is always up to date with the latest features and security fixes. 24/7 support included. Watch how simple it is to set up a Chromebox for meetings device. 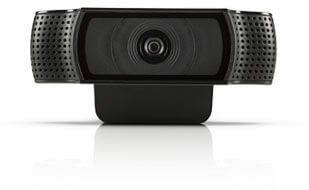 Full video conference solution includes an ASUS Chromebox, a Full HD 1080p video camera, a combined microphone and speaker unit and a remote control. One click to start the conversation, share your screen and documents wirelessly. Small size to fit anywhere in the meeting room. I don’t have Google Apps for Work. Can I use Chromebox for meetings? Yes, customers without Google Apps for Work can use Chromebox for meetings. You just need to complete a one-time setup process during your first purchase to verify your domain name with Google. What are the features available with Google Apps? Integrate with Google Calendar to schedule meetings and rooms. Collaborate on Google Docsduring the meeting. Join from laptops, computers or phones. How to join scheduled video calls from a Chromebox for meetings device using the Microsoft Outlook® plug-in. To make sure everyone can attend, use the Microsoft Outlook® plug-in to schedule a video call. Enter the meeting name in the Chromebox for meetings room. Users within your organization’s domain simply click the email link to join using a browser. Once the meeting is started, select Invite People to invite additional users, including people outside your domain. Note: Do not join the video call from a from a personal device while inside the Chromebox for meeting room, or feedback will occur. How to do a screenshare? To make sure everyone is on the same page, you can share content from your laptop with others in the video call. For example, a set of slides, a document, a spreadsheet. Mute your laptop if you are in the Chromebox for meetings room (or feedback will occur). Join the Google Hangouts video call from your device. For example: Click the link in the Microsoft Outlook® invitation, or Accept the invitation from your Gmail or Google Apps account. Click Screenshare (on the left side of the screen). Choose the window you want to share. Review the following video for a quick introduction. How to invite users to join Chromebox for meetings video call ? Once the video call is started, select select Invite People to invite additional users. Note: Invitees must have a Google Apps account, such as Gmail, and must join the meeting from that account. Invitees can be inside or outside of the organization’s domain. How to start named (unscheduled) video calls between Chromebox for meetings devices within the domain ? 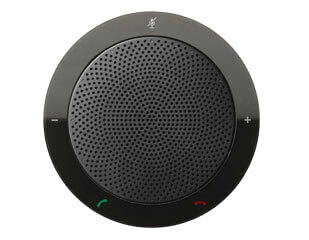 Simply enter a meeting name using the remote control to start a named (unscheduled) video call. 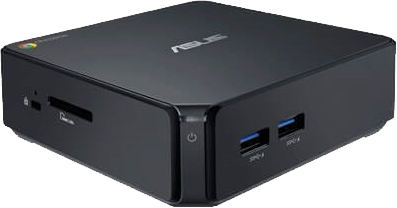 Any Chromebox for meetings device with the same meeting name will join the call. Note: The display is not included. 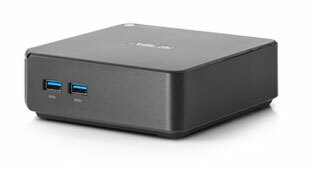 Chromebox for meetings supports multiple display models and types, but for best performance we recommend a 1080p-capable display with 1920 x 1080 resolution and a screen size between 40” and 55” (101 cm and 140 cm).